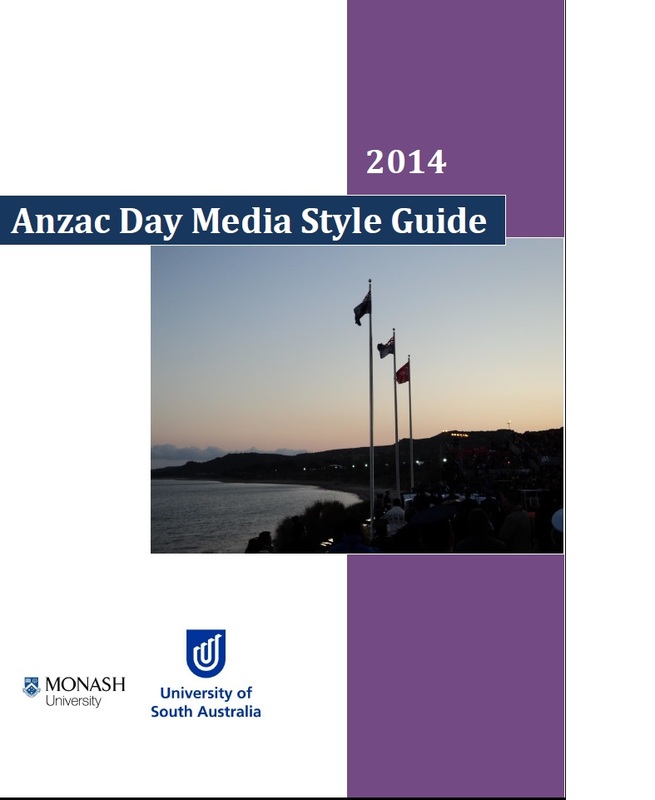 The Anzac Day Media Style Guide 2014 is an update of a publication that first appeared in 2012. The Guide’s author is Dr Sharon Mascall-Dare, it is supported by the University of South Australia and Monash University and is available online from Verandah Press, free to bona fide journalists (or $7.95 to the public). It has an advisory board of historians and journalists and a foreword from Professor Peter Stanley. Interviewed for Honest History, Dr Mascall-Dare recalls that the genesis of the Guide was in her doctoral thesis on journalistic practice regarding Anzac Day and the forthcoming Anzac centenary. 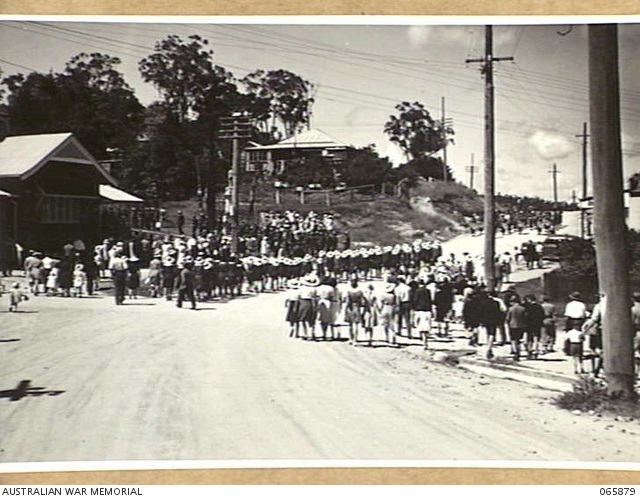 She interviewed some thirty journalists and found evidence of a lack of adequate briefing about Anzac, particularly among the younger journalists who were often given Anzac assignments. Anzac was often seen as a ‘repeat story’ suitable for less experienced journalists, but these journalists, wary of making mistakes in an area steeped in tradition and myth, tended to resort to ‘cut and paste’ treatment while still being baffled by military terminology. For journalists [says the Guide], Anzac Day has also become a media ritual. Every year, there are weeks of build-up followed by intense coverage on the day itself. Anzac Day has evolved into a “season” with book launches, commentary pieces and documentaries as well as news reports. The challenge for journalists is what to say. How do you report on Anzac Day, year after year, and find something new? ‘There was’, says Mascall-Dare, ‘an opportunity to provide journalists with a reliable resource’ which also included important context and suggested new angles. She goes on to say that the reaction to the Guide since its first publication has been ‘very, very positive’. Users recognised it was ‘not just a style guide but advice on a very difficult, complex subject’. Young journalists themselves had pointed to the need for advice on appropriate protocols for settings like the Dawn Service. The RSL, the Australian War Memorial and the Guide’s expert panel had helped with advice but journalists themselves had been central to deciding what needed to be covered in the Guide. The relationship between journalists and war as war happens rather than when it is being commemorated is addressed in a number of resources on this site. After spending the past week mooching around ANZAC/Suvla Bay, I wish I’d seen the style guide (and indeed this website!) beforehand. It’s well worth the few bob and my only complaint is that it doesn’t include anzackery in the quick reference guide! My grandfather was in Suvla as a CQMS with the Dublins and the one ANZAC link we have is that he was portrayed in a contemporary book wearing the Australian slouch hat. I’m not quite sure what exactly this signifies, I doubt somewhat it was a political action on his part. I’d imagine he had contact with Australians building the harbour at Kangaroo Beach and may have simply found it more useful than the hat he was issued with. Where Galliopli commemoration in Ireland has obviously suffered due to our own troubled political history, it strikes me that the debate here is a much more honest, and indeed mature, attempt to get to the bottom of things. I’ll be waiting a long time for a similar style guide to be produced in Ireland where interest is quite low, despite our government’s well-funded ‘Decade of Centenaries’ covering the period 1912-1922. As a foreigner though, I’m wondering the extent to which the more balanced views represented here reflect public opinion in Australia? Any comments? !